The layout of the Gnostic Mass Temple, set forth in “Of the Furnishings of the Temple” (Liber XV: I) clearly delineates the Tree of Life as explicated by Golden Dawn and used by Crowley.3) And though this is supported by the placement of the Solomonic pillars, traditionally used in Hebrew Qabala, to indicate Severity and Mercy, in this schema only the Sephiroth of the Middle Pillar are fully elaborated by physical objects within the Temple structure itself (cf. The Layout of the Temple, below). The pillars or pylons, that stand aside the main altar, represent Binah and Chokmah, of course, but this symbolic relationship does not itself extend below the abyss. This would seem to leave Chesed, Geburah, Netzach and Hod unaccounted for, at least so far as their stations are concerned. Where then are the remaining Sephiroth of these pillars? How are they and their functions represented in the Mass? Did Crowley just leave them out? We propose that the answers to these questions lie in the offices of the Children (Liber XV: II) and that a close reading of the rubric of the Gnostic Mass will clear up all of these ambiguities. Let us first examine these seemingly missing Sephiroth in light of their traditional Golden Dawn attributions as expressed in Liber 777. The Tree of Life itself is composed of vertical and horizontal components, and each Sephira is connected to others by paths. The lowest tier of the horizontal components is one that is seemingly not expressed in the physical layout of the Gnostic Mass temple, that of Hod and Netzach. But if we examine the elemental attributions of these Sephiroth we can see that their function is clearly expressed in the mechanics of the Gnostic Mass by the children. Hod is given the elemental attribution of water and Netzach that of fire. This often seems strange considering the symbolism of these spheres and their planetary correlations, but it is based on the typically ordinal valuation5) that permeates the Golden Dawn system and, as Liber 777 indicates, it was clearly in Crowley’s mind and thus we can safely assume that any attribution of these positions would reflect that attribution. When the Priest is purified and consecrated by the Priestess, the Negative Child brings the water from the position of Hod (ruled by water, 777: XI: 8) and the Positive Child brings the fire, from the position of Netzach (ruled by fire, 777: XI: 7). Again when the Priest in turn purifies and consecrates the Priestess the Children have assumed their respective positions at Geburah and Chesed. The Negative child provides the water for purification from Chesed (ruled by water 777: XI: 4) and the positive child provides the burning incense from the position from the position of Geburah (ruled by fire, 777: XI: 5). Until the conclusion of the Mass the Children stand representing their respective Pillars (save when they accompany the Priest ). At the Consummation of the Elements (Liber XV: VIII) the Children serve to carry the consecrated elements across the abyss, the Negative Child in Chesed serving as the cup bearer and the Positive Child in Geburah bearing the Paten. Geburah, as we have seen before, is ruled by water and so the office of the Negative Child, as cupbearer, is completely natural and appropriate. The Positive Child’s office in offering the Cake of Light is somewhat more complex. It must be remembered that while the nature of the host is passive and earthy, it contains the fiery oil of Abramelin and symbolically represents the seed of the Priest (the י or fiery aspect of יהוה) with which he inseminates the Cup via the Lance or Spear (777: XLI: 5). Much debate surrounds the importance of the use of the offices of the Children in the Gnostic Mass, but it should now be clearly understood that without the function of their particular offices; the entire symbolism of the Tree of Life, so central to the mystery of the Mass, is in many ways nullified and left incomplete. Likewise if the Priestess and Deacon assume these offices, several symbolic and magical problems arise. First each congregant is thrust across the abyss during the act of taking communion. This may be somewhat nullified in the case of the clergy, who are used to symbolically taking this action in the course of their normal liturgical practice, but it subjects regular congregants to magical forces for which they may not be prepared or trained, and it denies them the advantage of the ecclesiastical function, whose purpose is to bring this blessing from above for their benefit. It also denies the Deacon his proper function, at Tiphareth, in marshalling the congregation, symbolically revolving about the Sun, which he thereat represents, and symbolically forcing the congregants to wander in darkness toward the altar. Hopefully these arguments make clear the duties, responsibilities and importance of the office of Children in the Gnostic Mass. In all it would seem proper and beneficial for both the liturgical and magical purposes of the ritual to use Children in their proper offices as set forth by Aleister Crowley in his foundational text for the performance of this ritual, central to both the Ordo Templi Orientis and the Ecclesia Gnostica Catholica. The text is taken from Aleister Crowley’s “Liber XV: O.T.O., Ecclesiæ Gnosticæ Catholicæ: The Gnostic Mass” from Appendix VI of Magick: Book IV, Parts I-IV. , edt. Hymenaeus Beta. 2nd edt., (York Beach, ME: Weiser, 1997). The Gnostic Mass with Annotations and Commentary. Parenthetical Roman numerals refer directly to the sections of the Mass so noted in its text. Helena and Tau Apiryon. (16 October 2002 e.v.) “The Gnostic Mass: Annotations and Commentary.” The Invisible Basilica of Sabazius. 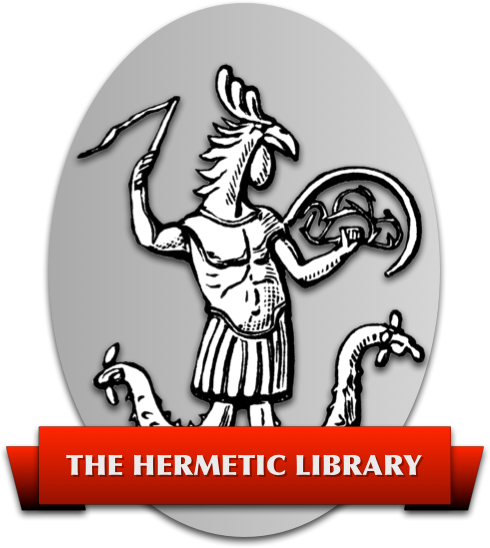 temple, originally published in “Symbolism of the Gnostic Mass Temple.” P. 89 Red Flame: A Thelemic Research Journal, No. 2, Mystery of Mystery: A Primer of Thelemic Ecclesiastical Gnosticism. 1995.
p. v Aleister Crowley. Liber 777 vel Prolegomena Symbolica Ad Systeman Sceptico-Mysticae Viae Explicandae Fundamentum Hieroglyphicum Santissimorum Scientiae Summa. Also Aleister Crowley, Isreal Regardie edt. 777 and Other Qabalistic Writings. Adapted from a document produced by Archbishop Lon Milo DuQuette, Deputy Grand Master, Ordo Templi Orientis U.S.A. from Lon and Constance DuQuette’s Gnostic Mass Seminar. http://www.sekhetmaat.com/www/html/events/2002_duquette/index.html. See Crowley’s notes to Column XI in 777.